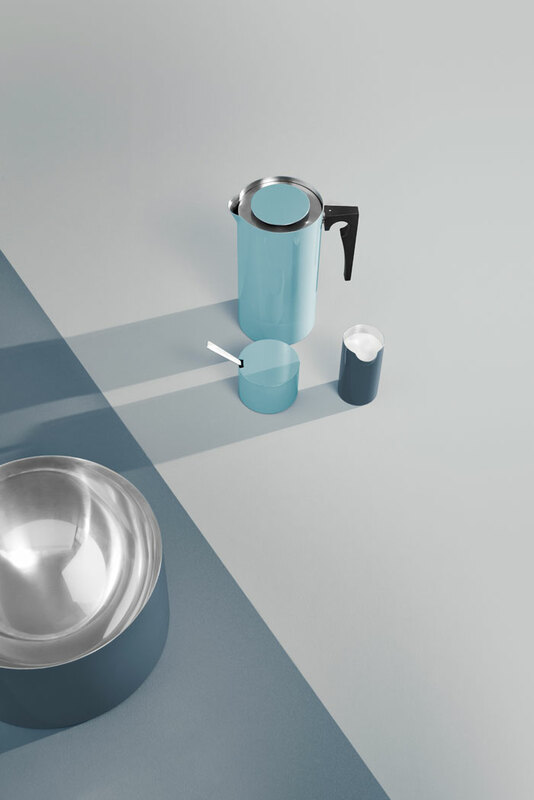 A simple drawing on a napkin during a family dinner was the starting point for one of Arne Jacobsen’s famous designs, the Cylinda-line in stainless steel for Stelton. 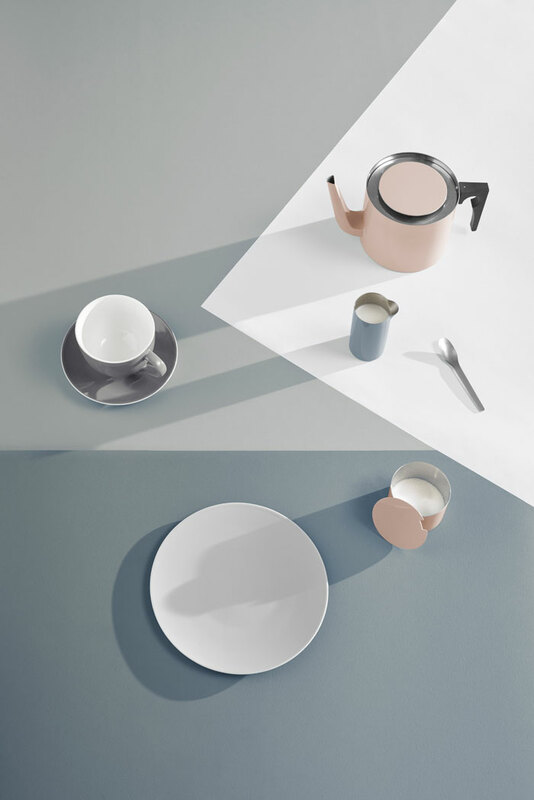 Fifty years later, the Danish brand is celebrating the anniversary of its iconic tableware series with the launch of a Limited Edition in colours inspired by Jacobsen’s earlier work with water colour paintings and textiles. 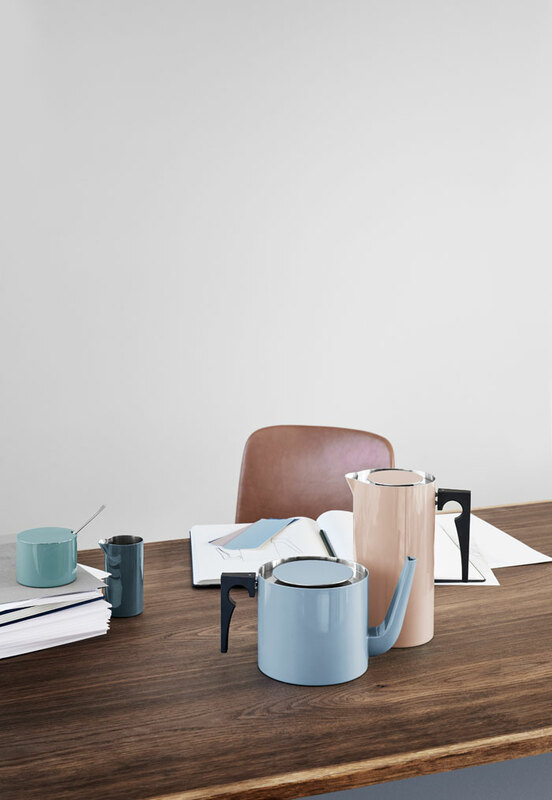 Ocean blue, dusty teal, powder and smokey blue are the new soft hues to grace the award-winning line. 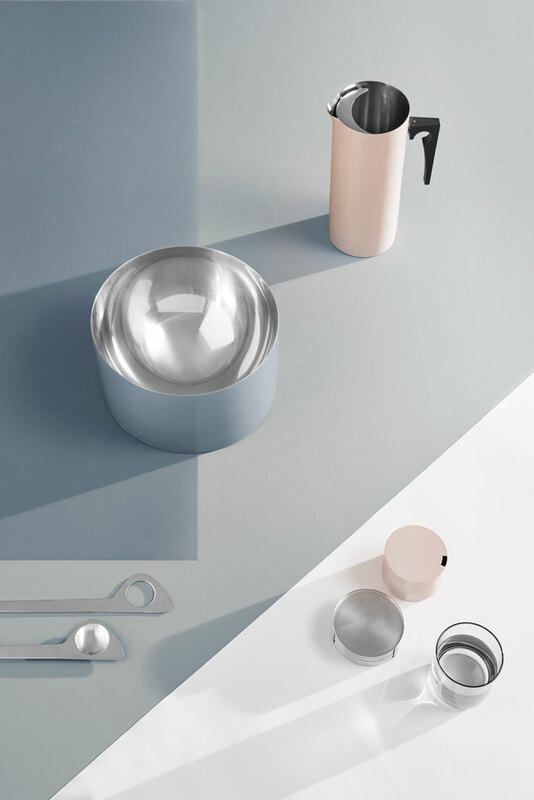 The collection includes a tea pot, French press, creamer, sugar bowl, jug with ice lip, salad bowl, champagne cooler, cocktail shaker and ice bucket. 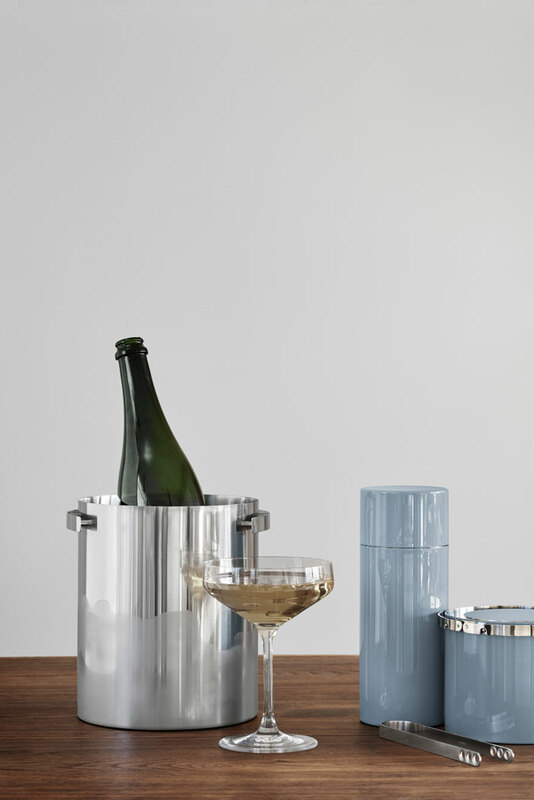 A new addition to the bar set is a Champagne Cooler in the same simple cylindrical shape that has become the essence of Stelton’s design DNA. 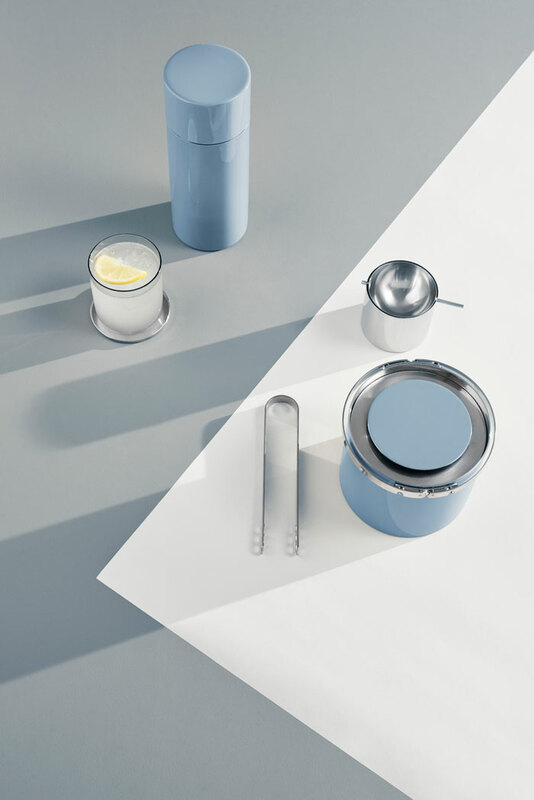 Stelton also recently revealed its lovely Spring/Summer 2017 collection – See it here. 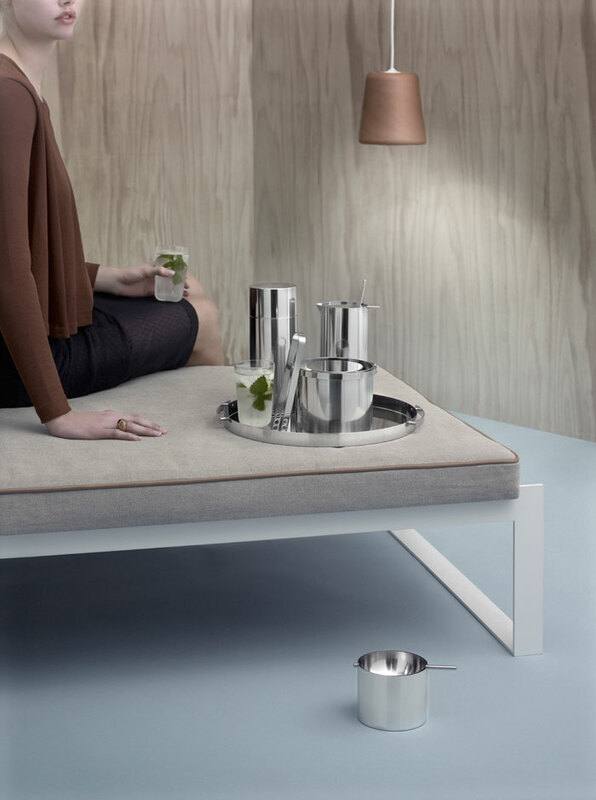 To find out where to buy Stelton products, visit the Shop Directory. Indeed! 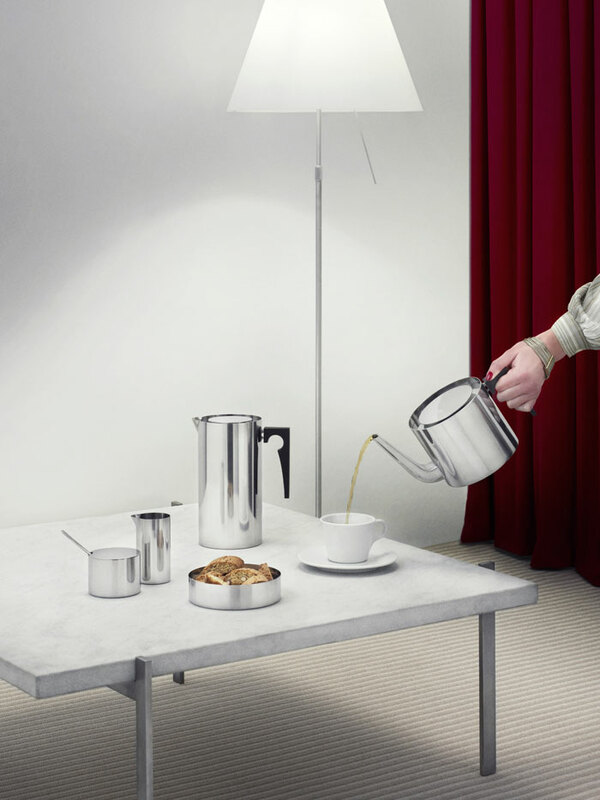 Fun fact: You can actually spot Arne Jacobsen’s designs (like the Stelton Jug and Cylinda Line, as well as his tableware for Georg Jensen) in many sci fi and/or futuristic movies such as Aliens, A Space Odyssey, etc.